Doppeltext unites the original with the literary translation. Do you prefer reading novels to reading dictionaries? Doppeltext makes unabridged versions of famous novels and short stories accessible, even for foreign-language beginners. 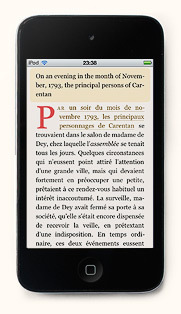 While reading, click on a sentence to display the literary translation. We use professional, published translations only, no Google Translate. because the text fragments are only 120 characters long on average. Your reading flow is not interrupted; atmosphere of the original work is preserved. Learn languages with world literature. Being captivated by a book naturally improves your language comprehension and vocabulary. You get a feeling for the language as a whole. Click on the text to read a short story for free and without registration. Or take a look at excerpts of our bilingual books. 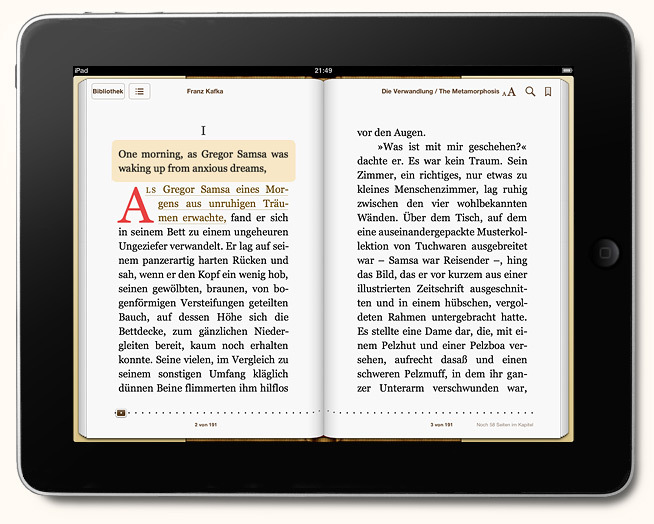 Read on a tablet, smartphone, e-reader or PC. Once you have purchased the book, you can read it on any device. On the iPad, iPhone or iPod Touch, open the enhanced dual language book directly in iBooks. Or just read your book in the browser. No installation is required. Set the font size to your preference. After the browser has finished downloading the book, it can be read offline. 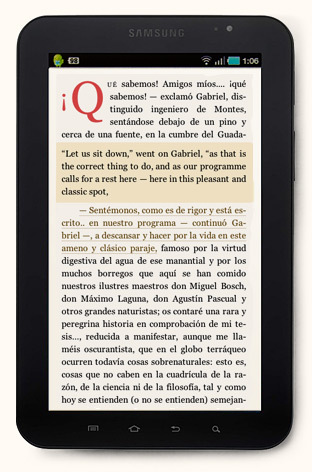 On the Kindle and other e-readers, click on the text to switch between the parallel text version and the original.